To create innovative pedagogy with the source of knowledge in the successive development of Computer Technology in current trends. To produce technically skillful, competent, employable, software professionals and researchers with social responsibilities and ethical values. I. To excel with problem solving and programming skills in various IT Fields. II. To plan, analyze, design, code, test and implement application software and real time software. IV. To be innovative in new concepts by the way of research activities through Sustained learning. V.	To become an entrepreneur in various sectors of Computer Applications. a). Apply mathematical concepts in computer programming. c). Apply Software Engineering concepts for development of Software applications. e). Understand the concept of various Operating Systems. f). Apply data structures and algorithms in real time applications. h). Involve in Research & Development Projects. The M.C.A. Programme is affiliated to Anna University and approved by A.I.C.T.E. 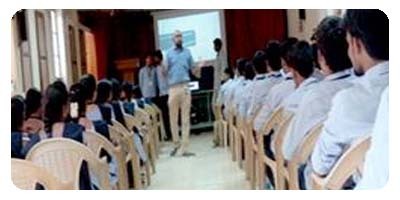 The Department is having a full fledged Computer Lab and Computer Centre with a total number of 180 systems including 4 servers in Computer Lab for M.C.A. students. All the systems are high end configuration. The Department of Master of Computer Applications feels proud that it is recognized as the "RESEARCH CENTER" by Anna University of Technology, Madurai for offering Doctoral Degree programs. Apart from curriculum activities, department is conducting Group Discussions, Quizzes, paper presentations, Aptitude tests and Mock interviews. Projects are also given to students in the latest Software technologies, guided by staff members, Certificate will be issued for projects by the college on seeing the performance of the students. 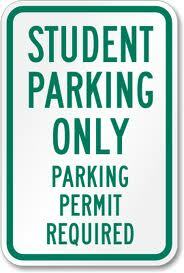 Students are also taken their knowledge to appreciable extent. To cater to the various needs of our students in their academic work an Association "EITA" has been formed. Guest lectures, quiz and seminars come under its agenda. We give special attention to the failure students by conducting special coaching classes. During Exam time students will come in the first trip to clarify their doubts with the staff members. We conduct the Mini Project contest to improve the technical skills to the students. IBM conducts a National Level Project contest every year. Hands on-training is given to the participants in TGMC contest by our faculty members to complete their projects successfully. Our college is one of the nodal centre for giving the training to the participants. The training will be given in J2EE concepts, Eclipse, DB 2-9 and Rational Software. One of our college team had been selected as the winner in TGMC-2007 context and another team had come among Top 20. The MCA Department started its association in the year 2002 in the association name 'EITA'- Emerging Information Technology & Association. This association was started with a vision of motivating students in par with current trends of the IT industry. The association activities are as follows. Guest Lectures are arranged regularly to students. Mini Projects are guided by the staff members. Sports and Athletics activities in Zone and state levels. Cultural Activities conducted by other colleges. Every year we organize National Level Technical Symposium for the students to enhance the multi skills of student community. A.K. VINOTHKUMAR Surya Informatics Pvt., Ltd.
S.PREETHIKAMATCHI Surya Informatics Pvt., Ltd.
M.RANJITHA Surya Informatics Pvt., Ltd.
Judge for "VeettukkuOruVinzhani" organized by Puthiyathalaimurai TV on 03-08-2018. NPTEL Certification on "Programming, Data Structures and Algorithms using Python". Award for Outstanding contribution and commitment toward the development of college promotional video. International Journal of Computer Science & Information Technology (IJCSIT) ISSN: 0975-3826(online); 0975-4660 (Print). International Journal of Multimedia & its Applications (IJMA), ISSN:0975-5578(online);, 0975-5934(Print). Reviewer of The Second International Conference on Data Mining, Internet Computing, and Big Data (BigData2015)" at University of Mauritius, Reduit, Mauritius. 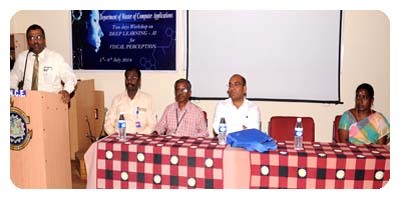 Resource person for National Conference on Innovative Technology and Advanced Computing at Fatima College, Madurai. Technical Program Committee Member in the International Conference on Smart Electronics Communication (SEC2014) held in Dalian, China from 18.08.2014 to 20.08.2014. Reviewer for the paper titled “Multimedia Through Internet Audio-Video Categories Enhancing University Students’ Learning Performance” in the International Journal of Multimedia Technology (IJMT), American V-King Scientific Publishing, LTD, 244 5th Avenue, Suite 2317, New York, N.Y. 10001, ISSN: 2225-1456 (Print), ISSN: 2226-7875 (Online) during July 2014. Reviewer for the paper titled "How brand loyalty is affected by online brand community?" in the International Conference on Smart Electronics and Communication (SEC 2014), to be held on Dec. 19th-21st, 2014 in Sanya, China. Program Committee Member in the Sixth International Conference on Wireless & Mobile Networks (WiMoNe - 2014) to be held December 27 ~ 28 - 2014, Sydney, Australia. Program Committee Member in the in International Conference on Signal, Image Processing and Multimedia(SPM-2014) held on 27-12-2014 & 28-12-2014 at Hotel Novotel Central, Sydney, Australia. Program Committee Member(PCM) in Fourth International Conference on Parallel, Distributed Computing Technologies and Applications(PDCTA-2015), held on 21-02-2015 & 22-02-2015 at Pullman Sydney Hyde Park, Sydney, Australia. Program Committee Member(PCM) in International Conference on Managing Values and Supply Chains(MaVaS-2015), held on 25-04-2015 & 26-04-2015, in Bangalore, India. Program Committee Member(PCM) in International Conference on Computer Science, Information Technology and Applications(CSITA-2015), held on 28-03-2015 & 29-03-2015 at Royal Orchid Central, Bangalore, India. Program Committee Member(PCM) in Fourth International Conference on Information Theory(IT-2015), held on 23-05-2015 & 24-05-2015, in Kremslehner Hotels, Vienna, Australia. Program Committee Member(PCM) in Second International Conference on Artificial Intelligence and Applications(AIAP-2015), held on 23-05-2015 & 24-05-2015 in Kremslehner Hotels, Vienna, Australia. Program Committee Member(PCM) in International Conference on Advanced Computing(ADCOM 2015), held on 27-06-2015 & 28-06-2015 in Bangalore, India. Reviewer for the Paper titled “Features Classification Based on Redundancy Segmentation in Observing Minute Details Group”, in the International Journal Physical Sciences Research International (PSRI), UK, Oct’13. Reviewer for the paper titled “Text Based Approach for Indexing and Retrieval of Image and Video: A Review” in the International Journal of Multimedia Technology (IJMT), American V-King Scientific Publishing, LTD, 244 5th Avenue, Suite 2317, New York, N.Y. 10001, ISSN: 2225-1456 (Print), ISSN: 2226-7875 (Online) during March 2014. Reviewer for the paper titled “A Study on Use of Multimedia to Improve the Academic Performance of Pre-School Students” in the International Journal of Multimedia Technology (IJMT), American V-King Scientific Publishing, LTD, 244 5th Avenue, Suite 2317, New York, N.Y. 10001, ISSN: 2225-1456 (Print), ISSN: 2226-7875 (Online) during June 2014. B.Subashini Attended Five days National level Workshop on "Advanced Research Techniques for Satellite Image Analysis using Image Processing"
R.Uma Maheswari Course Topper(top 2%) in NPTEL Certification Course on "Programming ,Data Structures and Algorithms using C"
S.R.Raja Attended a workshop on “network simulator " Vellamal College of Engineering and Technology, Madurai. R.Somas Kandan Presented a Paper in the International Conference "Magnetic Resonance (MR) brain Image segmentation using modifiedFCM and classification using Support vector machine"
R.Somas Kandan Workshop on “Advancements in brain image analysis towards research” ,organized by P.S.R.Rengasamy college of engineering for women,sivakasi. STUDENTS PARTICIPATION IN NATIONAL CONFERENCES / TECHNICAL SYMPOSIUMS AND OTHER EVENTS 2011. STUDENTS PARTICIPATION IN NATIONAL CONFERENCES / TECHNICAL SYMPOSIUMS AND OTHER EVENTS 2010. Sports activities for the Year 2014 – 2015. Name of the Students / Teams. Level / Local / District / State. Sports activities for the Year 2012 – 2013. Anna University Chennai Zone – XVI Zone Level. 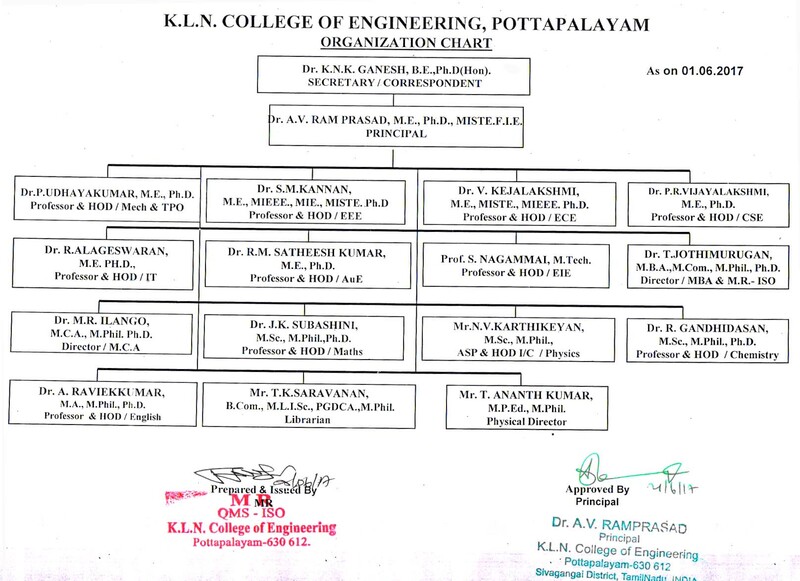 Alagappa Chettiyar College of Engineering and Technology, Karaikudi. This Team Secured Third Place In 4*200 Free Style Relay. K.L.N. College Of Engineering, Madurai. J.J. College Of Engineering And Technology, Trichy. 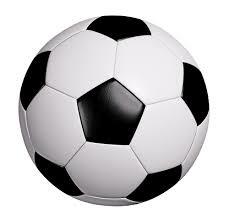 Sports activities for the Year 2013 – 2014. C. Abdul Hackiam College Of Engineering And Technology, Vellore. Valiammai College Of Engineering, Chennai. 22 students of 1999 – 2002 batch have visited our department and interacted with our existing students. Our president Shri Er.K.N.K.Karthik Sir has given momento to each student. Many students are working in Tier-1 IT companies. 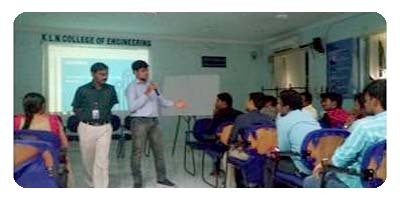 Expert Talk – Big Data Analytics – HADOOP- Handled by P R Krishna Kumar of 2008 – 2011 batch. 58 students of final year MCA. 3 students are eligible. All 3 students become eligible for second round. None of the student got selected. 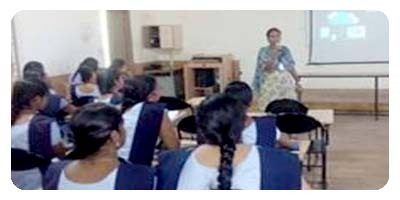 Ms Gunaseeli, Mrs R Kiruthika and Mrs B geetha have accompanied 58 students of final year to SMP diary. OFF Campus interview – Solaritis has conducted interview at KLNIT. Only one student Ms Uma Devi has cleared the first two rounds and is waiting for the final interview which is scheduled on 22.09.2017. She was not selected by the company. Workshop – Big Data Analysis organized by EITA association. 49 of second year + 20 of final year MCA and five of 3rd year ECE students. Mr Sasikumar from SSI – APTECH is the resource person. 58 Final Year students. Mr Prabhu, Senior Project Engineer from PANTECH, Chennai is the resource person. 24 final year Students went to Chennai. Mr S R Raja, Mrs B Geetha, Mrs R Kiruthika accompanied students to Chennai. 3 students got selected. Honeywell has conducted Hackathon’2K17 Contest for 24 hours from 13th Oct 2 PM to 14th Oct 2 PM. 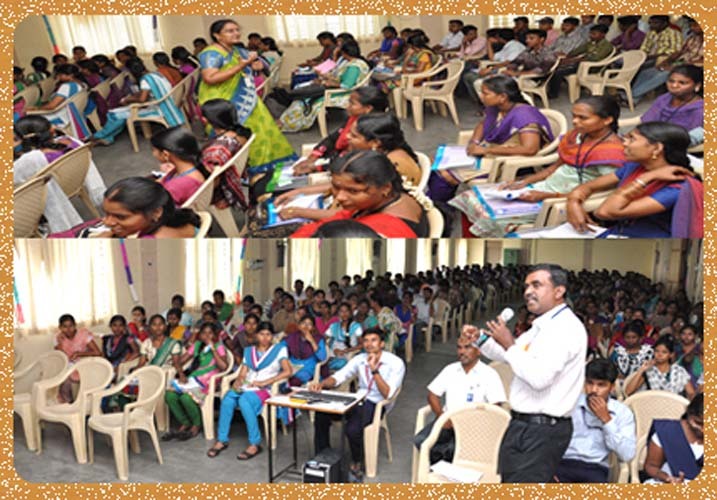 3 teams were participated guided by Mr. P Ganesh Babu, Mrs. B Vijayalakshmi, Mrs. N Shabnam. None of the team was selected for the final round. 47 of our final year students attended. Mr R. Raghuraman from Six Phrase has handled the sessions on general aptitude, logical reasoning for 3 days from 13.11.2017 to 15.11.2017. Mrs Jeya Shri has handled the classes on Spoken English for 3 days from 16.11.2017 to 18.11.2017. Placement Training Program (TCS Specific). Six Phrase, Coimbatore. Mr R Raghuraman of Six Phrase has handled the sessions on general aptitude (TCS specific). 27 students are eligible (Eligibility Criteia: 60% marks in 10th, 12th, UG and PG with one arrear). All 27 students have attended the online test first round (Aptitude, Verbal and technical). 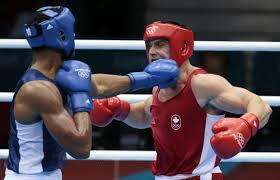 None of the student selected for the final round. 36 students eligible. (Eligibility Criteia: 60% marks in 10th, 12th, UG and PG with no standing arrear). None of them were selected. Only 3 students are eligible. ((Eligibility Criteia: 80% marks in 10th, 12th, UG and PG with one arrear). None of them were selected. Mr. Prassanna, Mr Sharan, Mr.Jeeva from Live Stream Technologies are resource persons. 48 of second year + 11 of I year students participated in this 5 days workshop. Mrs B. Vijayalakshmi Madam is in-charge for this workshop. Mrs. Santha, Alumni of MCA department (2009 Batch) has handled a session from 11.15 AM to 12.00 noon on Cloud Computing. She has also informed about importance of logical reasoning. Talent show for students is conducted. I and II year students have organized the event. They have conducted 2 technical and 2 non technical competitions. 52 students from final year of Arts and science colleges have participated. 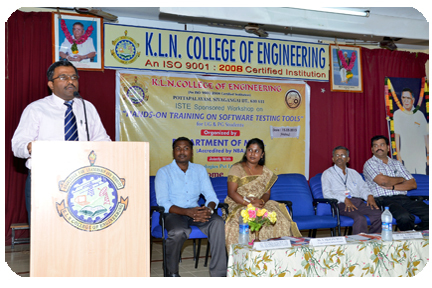 Dr A Kannan has handled sessions on “Python Programming”. 48 students of second year and 11 students of first year have participated in this workshop. Dr C Ashok Baburaj is coordinator for this workshop. 17 students from Arts and Science colleges (Non Computer Branches) have participated. Dr. A Kannan, Mr. R Somas Kandan and Ms. N.Gunaseeli have handled classes on Programming Languages, Databases and Web Design. Mr.Eswaran from Live Stream Technologies has handled the sessions. 30 students from final year have participated. Resource person from Six Phrase has handled the sessions. 16 eligible students have participated. 2. Dr. C. Daisy Associate Professor, CSE , Thiagarajar College of Engineering, Madurai. Senior Corporate Trainer, Grey Tech Cloud, Chennai. Mrs. N.HemaSitrarasu, Manager AIM, Madurai. AP (SG) / MCA 2nd edition of VRYiKSHA- Growing Entrepreneur Ms.Rachna Binani, Chair – Learning, Yi Madurai chapter & Director, Kidss Talk (pvt Ltd). Mr.Mohammed Iliyas , Desktop Support & Network Engineer. ISTE Sponsored Workshop on "Hands-on Training on Software Testing Tools". Dr. Solomon Selvam Ph. D.
Signing of MoU between KLNCE and Elysium Technologies Pvt. Limited on 19.09.2011(Monday) at IBM COE Lab. Our President Mr.K.N.K. Ganesh delivered a presidential address on 6th September 2011 in our State Level Technical Symposium "VYUHAM '11". 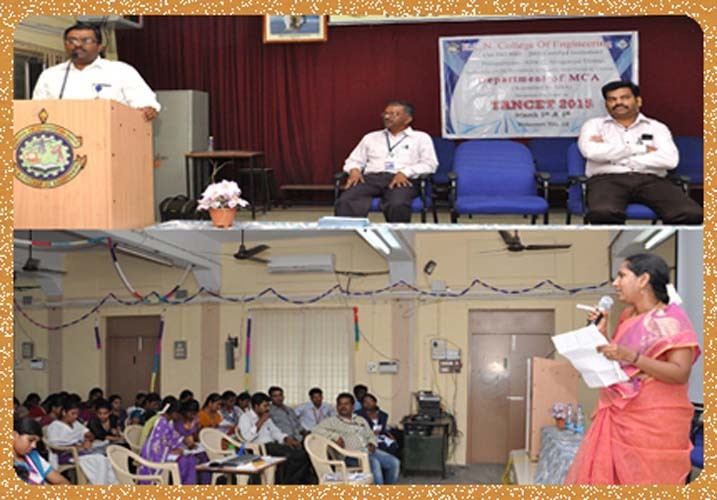 Technical Debugging session conducted in our MCA Lab in our Technical Symposium "VYUHAM'11". Paper presentation session of our National Conference "WINGS'11" conducted on 8th & 9th April 2011. Our Principal Dr.S. Ganapathy felicitated in our Faculty Development Program (FDP) on "Research Issues in Software Engineering" conducted on 23rd January 2010. HP Compaq Desktop, Intel Core2-Duo E7500 Processor 2.93 GHz, Intel G33 chipset MBD,3GB DDR-2 RAM, 320 GB SATA HDD, HP KBD, 18.5” TFT LCD Monitor. Pentium II @ 400 MHz, 256 MB SD RAM, 8 GB HDD, 14” Color Monitor, 1.44 MB FDD, Mouse & Keyboard. Cyber 3.0 KVA (72v, MOSFET) Pure On-Line UPS with DC, Power Pack. HP Compaq commercial desktop, Intel Core2-Duo E4600 Processor(2.4 Ghz 2MB cache 800 Mhz FSB)Intel G33 chipset MBD,2GB DDR-2 RAM,160 GB SATA HDD,HP KBD Optical Mouse,HP 17” TFT LCD Monitor. 9002649 .NET AND XML 2004 BORNSTEIN, NIEL M SHROFF PUBLISHERS Inside . 9002660 .NET COMPACT FRAMEWORK 2002 MORRIS, CRAIG ETC., SHROFF PUBLISHERS Inside . 9004949 .NET FRAME WORK 3.5 2009 KOGENT SOLUTION INC DREAM TECH PRESS Inside ..
9003194 .NET FRAMEWORK ESSENTIAL 3 ED, 2005 THAI THUAN & LAM HOAND Q O'REILLY (SPD) Inside . 9002650` .NET GAME PROGRAMMING WITH DIRECT X 9.0 2003 LABAO, ALEXANDRE SANTOS & HATTON, ELLEN SHROFF PUBLISHERS Inside . 9002651 .NET SYSTEM MANAGEMENT SERVICES 2003 GOLOMSHTOK, ALEXANDER SHROFF PUBLISHERS Inside .